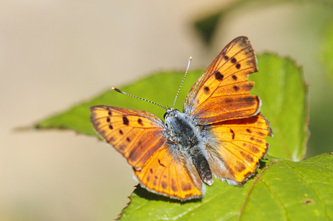 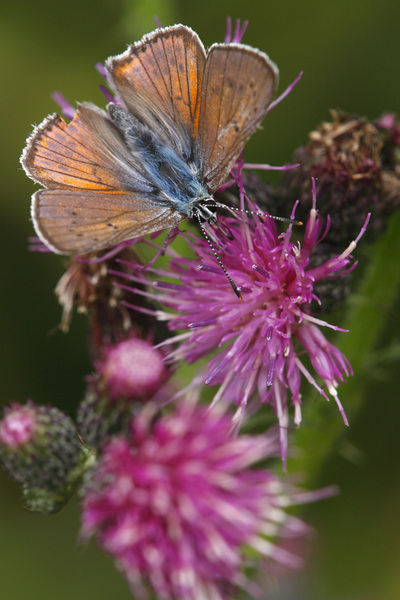 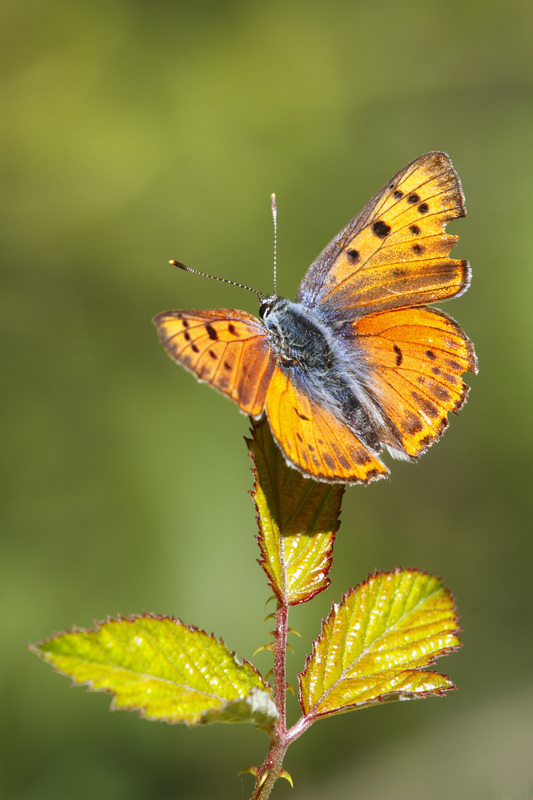 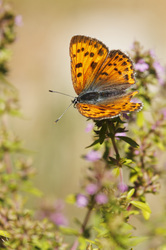 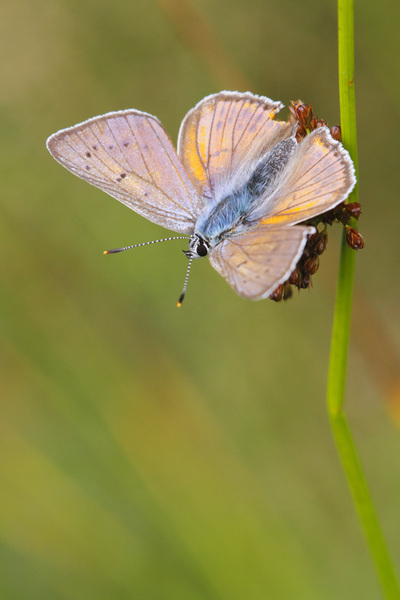 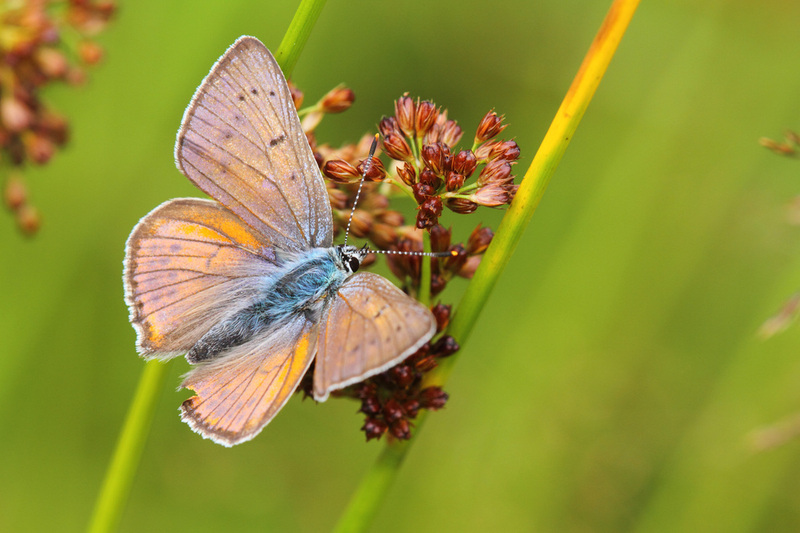 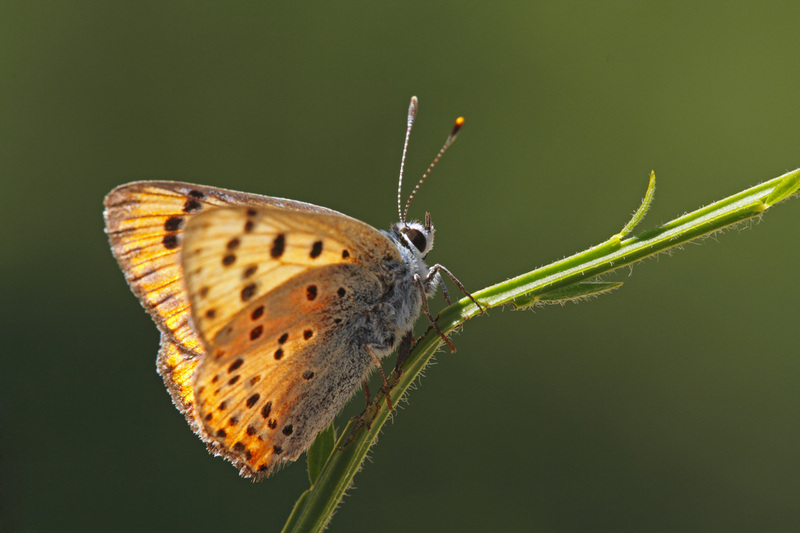 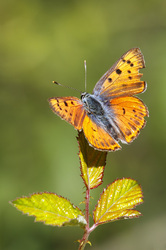 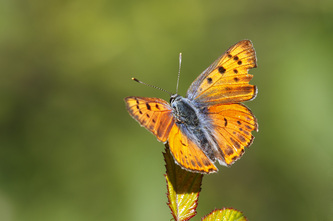 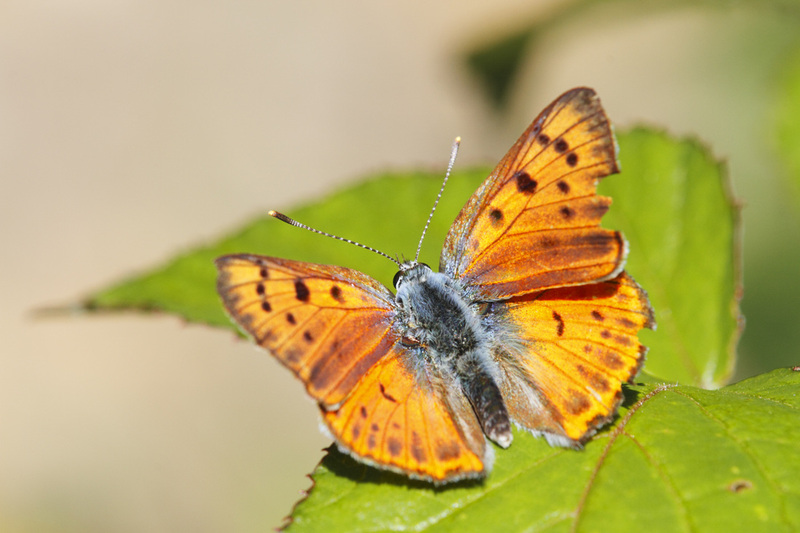 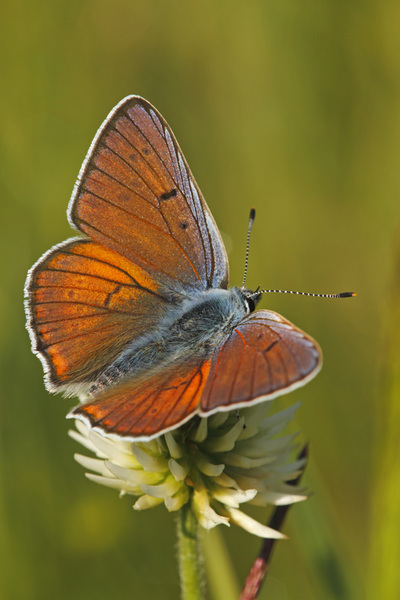 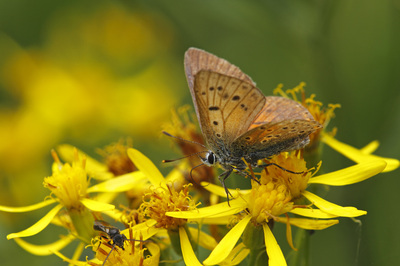 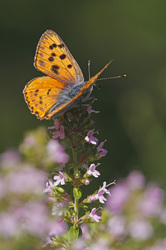 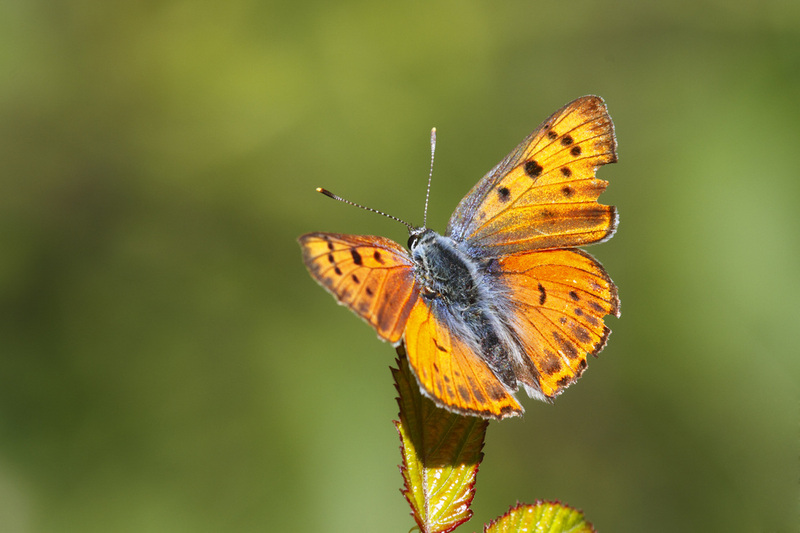 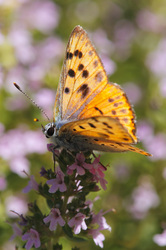 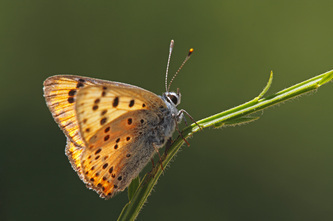 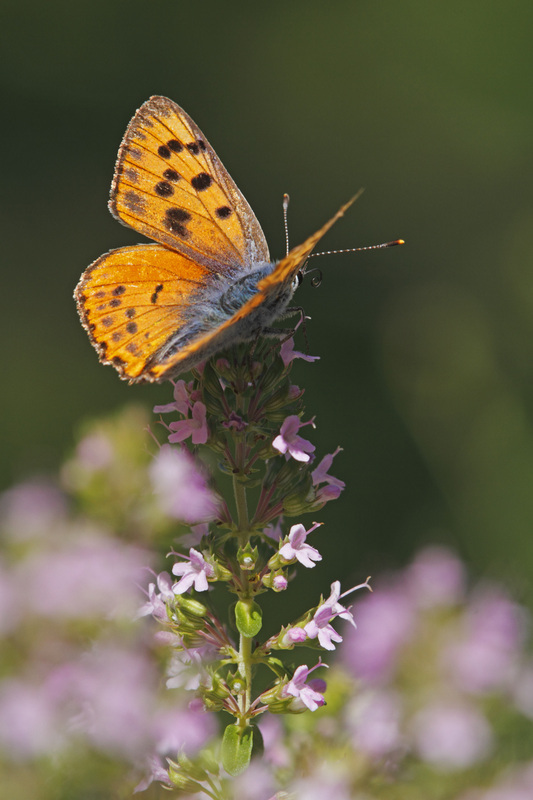 There are two subspecies (or races) of this butterfly in Europe: Lycaena alciphron alciphron and Lycaena alciphron gordius. 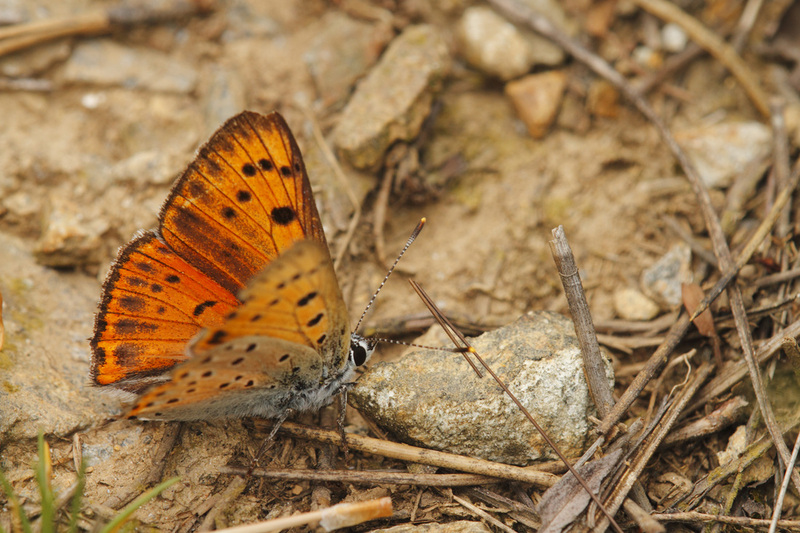 Untill today I only found and photographed gordius. 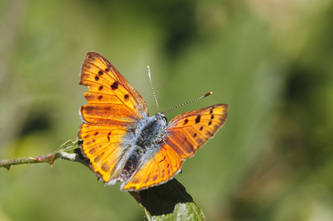 The male has a reduces purple sheen on its gleaming coppery wings and the dark spots show up clearly. 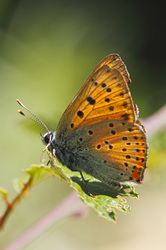 The female is also copper-coloured, with sooty-brown margins and heavy spotting. 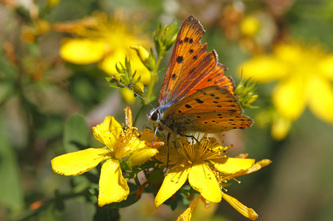 Flight from May to September in rough, flower-rich, scrub and grassland, especially on dry hillsides. 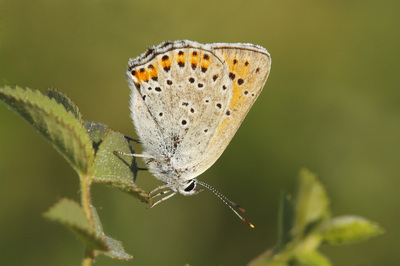 The larval foodplants are sorrels and docks.